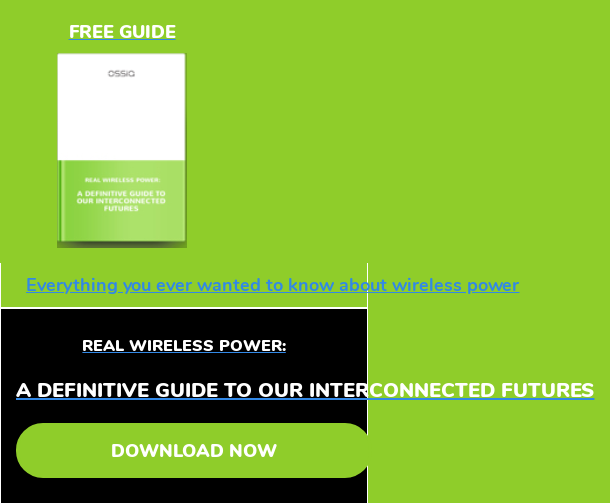 Ossia is pioneering the innovative Cota wireless power technology; sending power to places never reached before. But did you know, that before Cota, Ossia was founded by continuing an ancient Greek technology for pipeless liquid delivery? Some of you know me well, and know that studying history and the techniques of physics is a life long passion for me. In this study, I learned many things that I put into the first iteration of Ossia. For example, the ancient Greeks were the first to perfect plumbing. In fact, Archimedes discovered the aptly-termed Archimedes Principle (where did he think of the name?) while bathing, by watching his belly flop around in the bathtub. But Archimedes didn’t stop there! He invented all kinds of pumps, including the screw pump – named for the shape of the device which draws water up from the ground AND the way the pump’s oppressive noise ‘screws’ the neighbors out of a good night’s sleep. Archimedes and his mates were obsessed with plumbing the depths of geometry, leading them to invent ways to deliver water into (or sewage out of) their homes. But when their geometry club moved to an old building with no existing pipes, and no space to install new ones, they were forced to find a new water transportation solution. Undaunted, the team discovered a geometric technique that squares the circle to move water between two locations without passing between them. 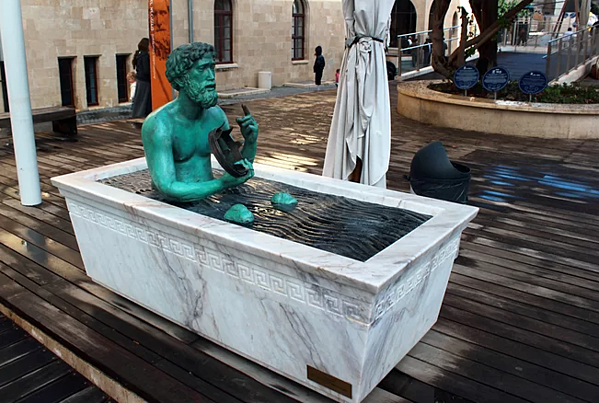 Archimedes’ revolutionary pipeless water transportation theory would have made the mighty Roman Empire’s water ducts obsolete – and cemented Greece’s place as the world’s scientific superpower. But Archimedes failed to raise enough capital in his “A” round. And just before a promising meeting with Sapling Capital®, a Roman soldier killed Archimedes, leaving the future of pipeless water delivery uncertain. TV watchers could shed the arduous burden of walking to the refrigerator for a drink. Intravenous fluids could be delivered without IVs – saving thousands of needle-related faintings by teenage boys in the ER – and without the risk of infection. Budweiser, Coca Cola, and Aquafina could shed the rigid delivery systems that prevent them from making a decent profit. We planned to call this technology Wota. But due to heavy government regulations and a lack of funding (some things never change!) We’ve abandoned Wota in favor of Cota, but you can still see the evidence of the previous work from the lab’s carpet water stains and the watermarks on official company documents! Image credits - A statue of Archimedes in a bathtub demonstrates the principle of the buoyant force. Located at Madatech, Israel's National Museum of Science, Technology and Space in Haifa. 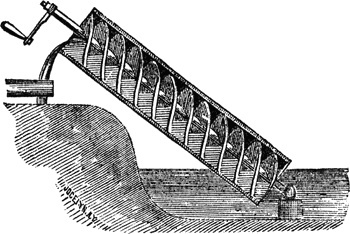 Archimedes Screw image courtesy of University of New Hampshire.